The Nordlys Ellipse IPL laser skin treatment is an amazing, state-of-the-art, skin care technology that comes from Scandinavia – the land known for smooth, flawless skin! This Nordlys Ellipse IPL laser effectively and permanently* removes body hair, by using a combination of fractional and infrared lasers in one device that can cover both small and large areas of the body. Birmingham AMAE Med Spa is one of the few facilities in Oakland County to offer this fast, comfortable, affordable, high-tech laser hair removal. In this article we discuss how the Nordlys Ellipse IPL laser permanently* and painlessly removes body hair. Nordlys Ellipse IPL Laser is a state of the art, practically pain-free, SWT® laser hair removal system, with clinically proven long term results. While unwanted hair is mainly considered a cosmetic issues, it can also be the result of certain medical and hormonal conditions. 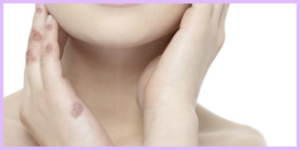 The Ellipse treatment uses a technique called “Selective Photothermolysis” in which controlled pulses of special frequencies of light penetrate the skin (epidermis). This light is absorbed by the melanin (color cells) in the hair’s follicle. The melanin converts the light energy into heat. This heat is then transferred into the hair follicle, destroying it and making it unable to produce a new hair. The light produced by the Ellipse SWT® system is carefully controlled to emit the correct pulse length, wavelength and energy to destroy the hair follicle, while leaving the surrounding skin undamaged. The treatment is only effective on growing hairs while they are still attached to the follicle. So, hair that is in the resting (telogen) state must be treated later in an additional treatment. Therefore, the best and most complete hair clearance is usually obtained after multiple treatments. The Nordlys Ellipse SWT® system offers the fastest hair removal treatment available for most skin types. It is FDA approved and clinically proven, to provide safe and effective long-term unwanted hair removal. *In clinical long-term studies have shown that 77% of the removed hair is still gone after 10 years! Birmingham double board certified plastic surgeon Dr. Ali offers the absolute best, state-of-the-art technologies in hair removal and skin treatments. In addition to Nordlys Ellipse IPL laser skin treatments, we also offer Fraxel 1550 laser treatments as well as ThermiSmooth radio frequency skin treatments. Each laser hair removal treatment begins with a professional skin consultation. Treatments are selected and optimized to meet the specific needs of each client with the most innovative and comprehensive products and technologies. For optimal results we offer custom packages of multiple laser hair removal treatments, under the guidance of medical aesthetician Ramona. Schedule a laser Hair Removal treatment – and then relax in our Birmingham Med Spa, while we make your skin look and feel silky smooth and attractive! IPL Laser Wart Removal Treatments New Microblading Before & After Photos!